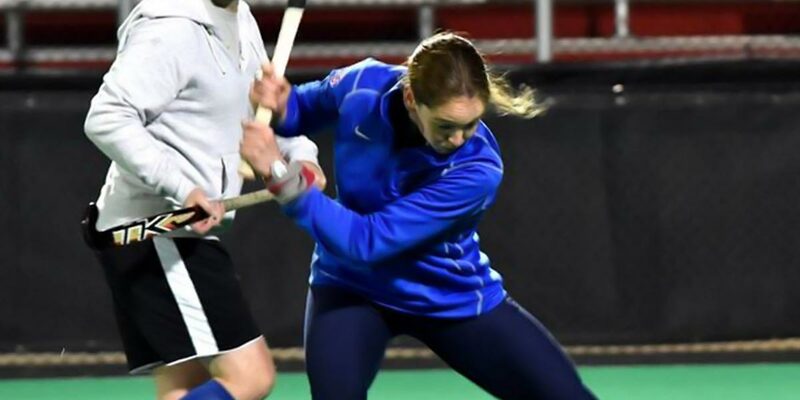 Play Overseas / Testimonials / Field Hockey / American University Stand-Out Accepts Scholarship In The U.K.
Natalie Konerth graduated from American University in December 2016 with a 4.00 GPA in applied mathematics after completing her final season with the AU Field Hockey team in the Fall. As well success in the classroom, Natalie also had an outstanding sporting career at AU. She also closed her collegiate career as one of the top players in program history, landing at No. 16 in the AU record books with 73 points throughout her four years. After years of outstanding performances, Natalie was selected for the U.S. National Development Squad in January 2017. During her college career, Konerth was a 2016 First Team Mid-Atlantic Region and 2015 Second Team Mid-Atlantic Region selection and a two-time unanimous choice for All-Patriot League First Team. Natalie solidified her status as one of AU’s most decorated student-athletes this summer when she was selected as the Corvias Patriot League Female Scholar-Athlete of the Year. When the AU field hockey team lost to Duke in the first round of the NCAA National Championship, she was determined that this would not mark the end of her hockey career and started to look for new opportunities. Natalie contacted us and expressed her desire to continue competing at a high standard. Within several weeks of making contact, Play Overseas was able to generate Natalie with a number of different postgraduate scholarship opportunities, allowing her to extend her student-athlete career for a further year, into her postgraduate education. 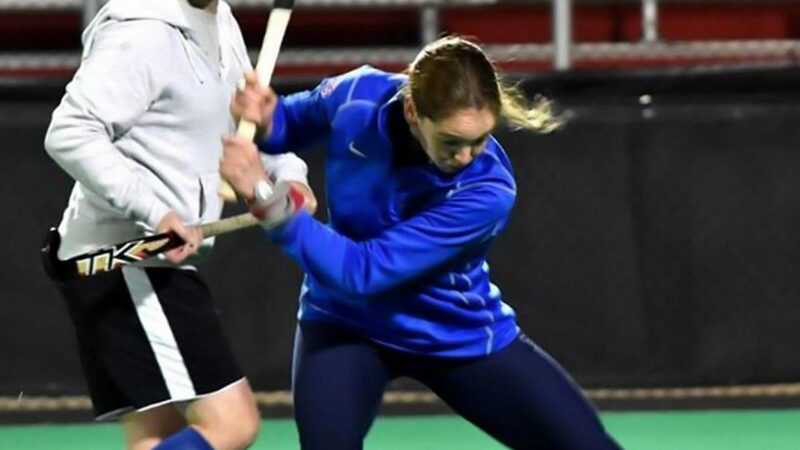 Whilst in the UK, Natalie will continue to play a high standard of hockey whilst also working towards a masters degree. Natalie’s hopes to make it into the full USA National Team in the future, but for now she is looking forward to playing overseas and being exposed to different playing styles. We are certain that Natalie has a bright future and look forward to tracking her success in the year ahead throughout her Field Hockey Scholarship. Read what other students have had to say about working with Play Overseas here. We are currently recruiting hockey players for postgraduate scholarhsips for a Fall 2018 entry. We have a wide range of schools in our network that would give you the opportunity to play a competitive standard of hockey, pursue your masters degree and experience life in Europe. Hockey players from all college divisions are encouraged to apply. If you wish to be considered for a Field Hockey Scholarship, please register your details here!